Tonight is a big night for green beauty. The third and final A Night For Green Beauty takes place in Chicago. It’s free and open to the public, so please join us! I will be there wearing a few hats. I’ve been assisting the ANFGB team as the event coordinator, and I’ll be participating as one of 34 luxury green beauty brands with my new line of botanical perfume, Florescent. Every event has been a huge celebration, and this will be the best one yet. It is so cool to have all your favorite brands and their founders hanging out in one space, sharing the latest in green beauty and answering all your questions. In addition, there are some new elements this year that will take the night to the next level. A Night For Green Beauty opens to the public at 6pm. Each brand will have their own table set up where you can try products and shop, and this year ANFGB is also introducing The Boutique—a specially curated shop featuring unique, limited edition products that have been made by ANFGB brands exclusively for this event. In addition, Integrity Botanicals is an official sponsor of A Night For Green Beauty, and they’re contributing to a very special part of the evening — The Show. Combining talent, products and the visionary retailers that carry safe, effective beauty in their shops, The Show is a glamorous beauty runway event that will highlight two makeup looks curated by Integrity Botanicals. Makeup artist Sheri Stroh will be creating the Integrity Botanicals looks, which will be modeled by Jessica Morse of the Bare Beauty blog and Sabrina from the Call It Vanity blog. The Show is the only part of the event that requires a ticket due to limited seating. Lucky attendees will receive Integrity Botanicals swag bags with a variety of deluxe and travel size samples of skin care, hair care, body care and fragrance. Can’t make it? No worries—Integrity Botanicals has reserved 5 of these swag bags for you! *Please note Treat nail polish color and Hurraw! lip balm flavor may vary from bag to bag. Integrity Botanicals is giving away 5 of its ANFGB swag bags with over $100 worth of product. To enter, tell us in the comments which ANFGB brand or brands you’re most excited about this year. Winners will be picked randomly from the comments and announced on August 15th. Contest is open to U.S. residents only. Hope to see you at A Night For Green Beauty! congrats! Seems like it will be an amazing time! Awesome, thanks Integrity Botanicals for giving us who can’t make it to Chicago a chance to have these too! Although I really wish I could be there instead! Your Instagram photos will have to be enough:) Hope you’re having an amazing time!! I’ve heard a lot about Lurk…would love to check that out! Hope ANFGB eventually makes it to DC! What a great giveaway! Being only a few hours from Chicago makes this one hurt! I would have loved a chance to learn more about Blissoma and Osmia Organics, to find a replace to for my favorite nail color, and to smell Susannah’s new Florescent line (I have yet to fall in love with a natural perfume; here’s hoping!). Have a great trip, and try to visit the Chicago Diner, if you’re interested in amazing vegan/vegetarian food! If I could be there I would be so excited to meet the people I follow on IG and through blogs and, of course, the founders and creators of the fabulous brands that have changed my skin so much. I think it would be fun to be in on the ground floor of the products that are launching tonight like Susannah’s perfume too. Also, to be in on all the goodies that will be given away. Too much fun! Wow, which brands am I NOT excited about this year? Let’s start with Josh Rosebrook, Laurel WPO, Graydon, Stark and True Nature Botanicals, and the list goes on and on! Hope the event goes superbly! Wish I was in Chicago too! Would love to have met Josh Rosebrook and Maholo Skin! What a fantastic event! I would love to be there. But, thank goodness we have shops like Integrity to help us shop greenly As for which brand I’m most excited about this year, I would have to say May Lindstrom. Thanks to your awesome sample sizes you have for sale on your site, I was finally able to try some ML and I am loving it. I can’t wait to try everything in the line. I’m excited about Gressa Skin! I would SO love to win this – so fun!! I just received my sample order from your new perfume line – they all smell wonderful!! I’m super excited to figure out which one I like best and order the full size!! I’m most excited about your brand!! I’m excited about R.L. Linden and Gressa this year. Can’t wait to get my hands on some of their products! Especially the new Gressa lip balm Jolie and the R.L. Linden rose spritz. I am SO sad that I am unable to go to ANFGB in Chicago especially since it’s the last! I went to the one in LA last year and loved being able to try and purchase such amazing high end green beauty products all in one place plus it was so fun to mingle with other green beauty product lovers! Regarding ANFGB brands, I am most excited about May Lindstrom products for their purity and known effectiveness in the green beauty blogger world, plus May tends to have some limited edition product just for the event. I am also extremely excited about Florescent as I am a sucker for botanical perfumes and their scents (especially Sundays) sound gorgeous! 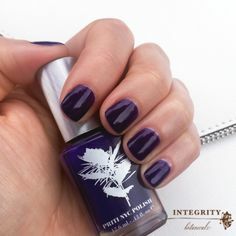 BTW, I also love shopping at Integrity Botanicals since they carry top-of-the-line natural beauty products, include free samples with all orders, and provide top notch customer service! Thanks! I’m most excited for Hurraw’s lip balms (I love the natural flavors), LURK perfumes (The floral scents are beautiful), and W3LL PEOPLE’s cosmetics (I admire how natural all of their products are). I’ll miss ANFGB, since I heard this is the last one. Thanks for offering this contest! How awesomely generous to include those of us who had to stay home! 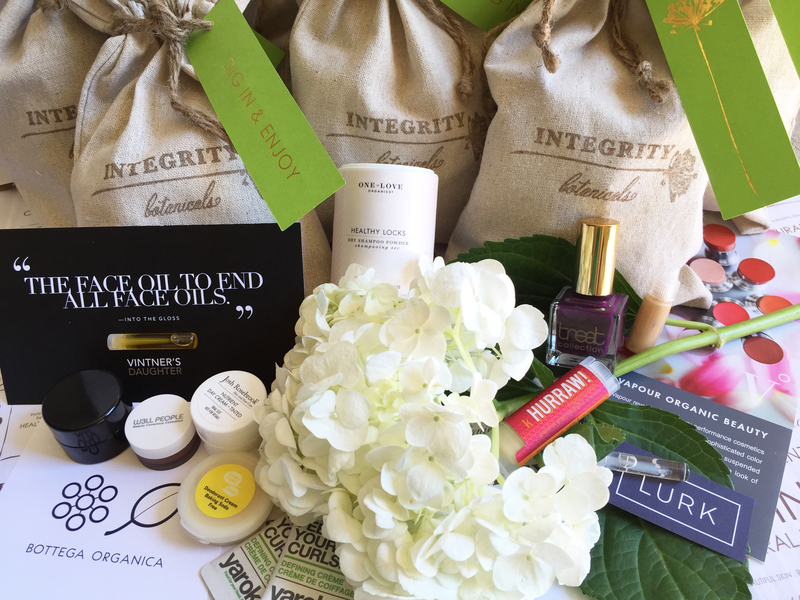 A swag bag from Integrity Botanicals would be like the ultimate goodie bag. I’m so excited trying to imagine what the ANFGB event is like right now as I believe the doors open to the public at 6pm Central as I type this!! I even had a dream about ANFGB a few nights ago! LOL. The ANFGB brands that I am most excited about this year are Josh Rosebrook (his tinted SPF in particular), La Bella Figura (their makeup line in particular), and Yarok (their Feed Your Curls & Feed Your Roots in particular). Cheers! I am excited about vintner’s daughter bottega organica and laurel whole plant organics. All of the products from ANFGB look amazing. I’m excited about all of the beautiful brands especially Laurel, Root Science, MUN, Mahalo, One Love Organics, Kahina, La Bella Figura just to name a few. ANFGB has introduced me to brands and products I never heard of. Green Beauty has changed the way my skin looks and feels. Thank you for sharing and the opportunity to win a beauty bag. Love Osmia Organics bath soaps and very excited to try CV Skinlabs. My facial skin does not tolerate essential oils so I’m happy to see fragrance free options from that brand! How exciting! I wish I was there. So many amazing brands with the stellar product’s. I would love to get my hands on the limited edition/new products from LBF, OLO, Gressa, Stark, Lurk & JR.
Congrats! You won the Swag Bag giveaway! Oh! Wish this amazing event was in more than one state… Come to Miami!!! I’m really excited for the cosmetics brands like W3ll People, Alima Pure, and Au Naturale since it’s nearly impossible to color match over the Internet. I am also really excited to learn about brands I haven’t heard much about before. I was following the event on Instagram via all the brands and bloggers present and really wish I could be there! It’d be wonderful if you guys can make it to New York somehow ❤️ I’m definitely curious about the Vitner’s Daughter face serum as well as the Treat nail polishes! Congrats on a successful event ladies! I would.Love to win any of these natural organic products …especially Integrity Botanicals …I have very bad sensitive skin and have found that natural pure ingredients work so much better for me than any high end beauty products that are filled with nothing but harsh chemicals….my skin is literally at peace….no more itching hives and rashes….. The last ANFGB! Sad to hear this was hoping to attend next year. Looked like a beautiful time so many great brands and wonderful people. I love my Lift spray by Josh Rosebrook, Osmia soap and Kari Gran face routine (to name a few!) New to this green beauty scene (what took me so long?) and really enjoying the ANFGB Produxcts I’ve been lucky enough to try!! I am excited about all brands in ANFGB. Having them in one place is amazing. My favorite ANFGB brand is May Lindstrom! I can’t wait to see what products she introduces to her line next! Ohhh missed it big time ! Hopefully next year it’s not just a night but all day with each and every brand that was showcased tonight ! 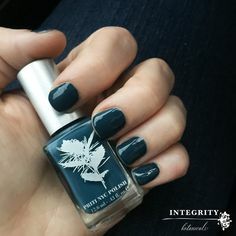 I am happy to have discovered Integrity Botanicals along with many others and wish you all the best. This is only the beginning. Cheers ! I was most excited about Gressa & Laurel – so many amazing brands tonight! Wish I could have been at Anfgb and I am excited About Gressa & La Bella Figura! What a lovely giveaway for those of us far from Chicago! Some of the ANFGB brands I already love are blissoma, Gressa, and W3LL People, though I’m very excited to start smelling Florescent perfumes and try the gorgeous Josh Rosebrook or May Lindstrom products in the future. Thanks for playing a part in green beauty history, Integrity Botanicals! I would have been so jazzed to see Josh Rosebrook, Axiology, and Cocovit in person! I hope everyone had a great time – I’m lurking the #ANFGB and re-living vicariously through you all. What a great opportunity! I was bummed to be so far away from Chicago, but it would be awesome to win a swag bag. The brands I’d be most excited about are Josh Rosebrook and Osmia Organics. I’d love to be able to meet them in person! What a fun event! I would be like a kid in a candy store! I would say I’m most excited about May Lindstrom and Josh Rosebrook. I love every single thing May makes and the products I’ve tried from Josh Rosebrook have been phenomenal. I also heard Kahina will be releasing a Fez perfume so I’m super excited about that too! I have recently discovered OLO. Loving it. Would love to win the giveaway and discover more new green beauty. So many amazing brands! I would love to have tried in person more Laurel products. But to be honest I REALLY wanted to meet the makers of all these amazing products, the bloggers and the stores who sell these products. I have had some great advice and conversations with these people via email. Once again I had to miss because my daughter started school yesterday. What is worse, I used to live in Chicago. Thank you for posting pics of the event. I hope to one day attend ANFGB! LOVED seeing everyone’s posts on instgram and living vicariously through them I am sooooo excited about so many brands! But I am curious about Josh Rosebrook, Mahalo, and Vitner’s Daughter (to name a few). Congratulations on a successful and beautiful event!! I’m excited about brands I haven’t tried yet, such as bottega and mahalo. Thanks for your generous giveaway! 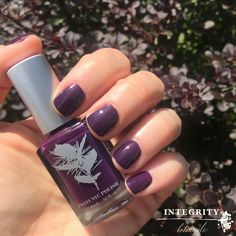 I’m most excited about the Integrity Botanicals swag from the ANFGB! If this swag bag is anything like the Integrity Botanicals blog and tweets (I’m sure it is), I know it’s awesome! I love Bottega Organica the science and effectiveness leaves no doubt that “green” is better for you body. Another can’t miss is One Love Organics. For those of us with sensitive skin, you don’t have to worry about irritants and more than what you don’t get, is the healthy smooth glow that you do get. Curly, unruly, dry hair, no more excuses! Yarok hair care makes switching to healthy hair care easy. I can personally vouch that Yarok will leave you with moist, soft, and great hair that smells as great as it looks. For tasty kissable lips, take HURRAW with you where ever you go. It’s your new best friend for keeping your pucker kiss ready. More moist than typical chap stick, and not as glossy as lip gloss….just perfect. I can’t wait to try TreatCollection polish, the purple midnight color reminds me of love after dark. Joshrosebrook, W3llPeople, MeowMeowTweet, Lurkbeauty, and Vapourbeauty all look like my new best products and I can’t wait to try them! Thank you Integrity Botanicals for a fabulous swag bag offer! Thanks for the opportunity to win one of these swag bags! I’ve become such a fan of La Bella Figura and May Lindstrom on my quest to convert all my skincare to green products. I hope to do the same with my make-up, so I’m very excited to try Gressa, W3ll People and Kari Gran. I was disappointed beyond words when I heard about this green beauty event that was over 2,000 miles away. So many of my favorite green brands were there (W3ll People, Integrity Botanicals, Laurel Skincare, Organic Beauty Talk),etc. I’m sure I would’ve been star struck and/or broke by the end of the night. I hope they consider an event in Cali next time! I wish SO badly that I could have gone. It sounds like something I would have absolutely loved to be able to attend. I really like all of the brands but I’m absolutely in love with Alima Pure, Gressa, and Kari Gran. They’re all located in my neck of the woods and they have such amazing product line ups! Would love to try products by Gressa. Thank you for the chance!! I have been really interested in different natural perfumes so I am excited about the Florescent brand. The city of Chicago + the best faces in the non toxic beauty world is the best it can get! I regret I couldn’t make it to Chicago for the events but I’ve been following through all my favorites on IG. Some of the brands from ANFGB that I am most excited about are vintners daughter,one love organics, well people, josh rosebrook ,laurel and bottega organica. The faces behind these brands have stories and so not only do their products speak for themselves but the companies and the people behind them are real people with real ingredients. Thank you to the team who put all of this together because it creates a conversation about non toxic beauty. Osmia Organics is one of my favorites attending A Night for Green Beauty. I love following Sarah’s beautiful Instagram feed, and her passion for her work is inspiring. Kahina is another one of my favorites, their products are gentle, beautifully scented, and so effective on my sensitive skin. Thank you for extending the experience of A Night for Green Beauty to those who couldn’t attend. The event looks like it turned out wonderful. I was excited for: Au Naturale, Cocovit, Florescent, Josh Rosebrook, Kahina, La Bella Figura, Laurel, Mahalo, MUN and Osmia. Who am I kidding?! I was excited for everyone there. Thank you for the opportunity Integrity Botanicals! Brands that are true love and always excited to see..Gressaskin,May Lindstrom,Josh R., Kypris, Blissoma (not in any particular order).. Thank you so much for the chance of getting one of the special bag of goodies! I’m excited about the hair care products. Wonderful event. This is very interesting. What an awesome giveaway. I wished I read this sooner. I live in Chicago but totally missed the event. I’ve heard amazing things about Josh Rosebrooks products but have not had an opportunity to try yet. I adore Osmia Organics soaps. I’ve used and enjoyed one or two Blissoma products but want to try more. And finally, since I just moved a block away from Laurel Organics, I look forward to exploring their whole product line! I wish I could’ve been there! To see all my favorite brands and brands yet to try in one place would’ve been amazing. To feel, smell and see how they look, and to meet with the ladies/gents behind the lines and retailers would’ve been so much fun. I’ve been living through the blogs and reviews of the ANFGB. I really wish I could experience all the fragrances in person. There are so many lovely green fragrances out there, but always worried to buy one without trying it in person. I can’t pick a brand! All of them?! I’m very curious about Mahalo currently. What a cool giveaway! Especially for those of us that didn’t get a chance to attend. All the photos on Instagram had me feeling positively lustful for all that gorgeous skin care, makeup and perfume, not to mention the social aspect of chatting with all the enthusiastic and creative people who make and adore those things! Here’s hoping that I can attend sometime in the future. There are so many amazing products I want and have yet to try (La Bella Figura! TNB! Stark! Laurel! Josh Rosebrook!) but I love me some SW Basics, May Lindstrom, Blissoma, and Zoe Organics. Just chose some Laurel and Aster + Bay samples with my latest order and am looking forward to testing them out! Every brand at ANFGB is on my radar! I have dabbled and sampled a few items while other products have become staples in my routine. I am naturally drawn to hair and skincare that not only smell fabulous but also perform! Mahalo is my latest product crush but seriously, how could one not be happy with any gift bag contents! Bring on the next big thing please… 2016! So wishing I could attend!!! There are many many brands I love..Antonym, Josh Rosebrook, R L Linden, By Rosie Jane, etc. Hi Susannah, thank you for offering this amazing giveaway. I placed my first order with Integrity Botanicals because I have been dying to try Josh Rosebrook’s products. I also want to try Osmia Organics and Blissoma products. Many of the ANFGB brands have helped heal and protect my sensitive skin due to seborhheic dermatitis. I would LOVE to win. Thank you! I want to try the Lurk brand and La Bella Figura. True Nature Botanicals! the moisturizing peel sounds amazing! I wish I had been to Chicago to meet all these amazing founders !! Well I’m most excited to try Vintner’s daughter and lurk perfumes . Now that is an incredible swag bag! So many amazing brands there, but I am probably most excited about May Lindstrom, Josh Rosebrook, and Laurel. Wish I could have been in Chicago last week! May Lindstrom! I’ve tried the blue cocoon, and look forward to using the rest of the line. I would be thrilled to win!!! Thank you for offering a Green Beauty giveaway! I so wish I could make it! I’m so excited you guys are selling Vintner’s Daughter now – definitely one of my favorite recent additions to the shop! I would say I’m very excited about Josh Rosebrook and w3ll people. But love all, thanks so much for a chance to win! Bottega Organica, Stark Skincare, Hana Organic Skincare but honestly I wish I could of been there and tried everything. I’m happy there are some really wonderful non-toxic and cruelty-free brands out there today- it’s the best! I’m excited to learn more and try the Treet nail collection. I also love One Love Organics and Aster + Bay! Wonderful products, fabulous packaging and it is such a lifesaver knowing they are non-toxic!! Yay!!! Thanks for the giveaway! I just ordered Josh Rosebrook products from Integrity (deep nourishing shampoo + conditioner) and LOVE them. I also ordered some samples of Lurk as I’m on the hunt for a signature scent for my wedding next year.. haven’t broken into them yet but I’m excited to try! So bummed I couldn’t go, and bummed it was the last year for it! Hopefully whatever ANFGB is cooking up next will be even more exciting. One product I’m eager to try is the Mahalo Vitality Elixir. The name makes it sound like an amazing green juice! But seriously, your face is the first thing people notice, and after years of having bad skin, my face is just starting to calm down and I think this would be a great addition to my potions and lotions. Other brands I’ve been wanting to try include Bottega Organica and Laurel Whole Plant Organics. I was so excited for this event! !i could not wait to go to each and every table to see and smell all of their amazing products!! I am so excited for w3ll people, meow meow tweet, one love organics and osima I have been in heaven using all of my new products!! Not to mention the people were so amazing!! The owners of these companies wear there heart on their sleeves and the passion they have for their brands shines to bright!! I missed trying Josh Rosebrooks product at the LA event. I really want to explore his line. I am now hooked on One Love Organics but haven’t tried any of the new products. I hope you had a great time in Chicago Susannah. Dare I say I’m excited about all of them!? I am particularly fond of OLO and MMT! Bottega has peaked my interest quite a bit. Unfortunately I was unable to attend, but I’m very curious to see what is in store next! What a wonderful giveaway Thank you to the nth degree for the amazing opportunity to win one of these lovely bags! The one ANFGB brand that I am the most excited about this year is Province Apothecary. They make such beautifully pure products. I particularly love La Bella Figura and May Lindstrom. The ANFGB brand that I have really been wanting to try is May Lindstrom. I’ve heard AMAZING things about her products so I’m hoping I can try them soon! I wish I could have gone to ANFGB. I’m disappointed it was the final year. I’m dying to try Josh Rosebrook products! Having only ever purchased my green beauty products online I’ve really missed out on the experience of smelling a product, testing the color on the back of my hand, feeling the texture between my fingers, and actually talking to the artist behind the product IN PERSON. I think I would have felt like a kid in a candy store if I had been able to go to A Night for Green Beauty. I just started my journey into non-toxic, organic skincare and makeup in February, and every paycheck or two I’ve been slowly testing some of the wonderful brands available out there. This swag bag represents at least a year of wish list items for me! Having just read “Skin Cleanse” I’m most interested in products by S.W. Basics! ANFGB sounds like it was awesome! I’m excited to try Vitner’s Daughter, w3ll people, and so many others! I’m just starting the transition into green beauty and I’m so glad I’ve found this awesome site! First off, I am SO sad to not have been able to attend ANFGB this year- I was able to go because it was in LA last year and it was such a magical night. I am most excited about Laurel Whole Plant Organics because I was able to get a small sample of one of her facial oils awhile back and it truly knocked my socks off. I have chronically dry skin with an oily under layer (HELLO COMBO SKIN!) and Laurel’s ingredients just speak to me. We’re a match! What I love about ANFGB though is that ALL the brands there you can trust to be up to the highest standard of pure ingredients, consciously sourced. What an amazing giveaway, I’m getting goosebumps just thinking about it! I’m always excited about Mun’s products. But I’m also extra drawn to La Bella Figura this year because of the luxurious, pampering botanicals and scents they keep combining! LOVEFRESH deodorant and BOTTEGA ORGANICA!!! I’m very interested in all the Canadian brands. Graydon and Stark are two that I would love to try. Thanks for another great giveaway! Hurraw lip balm is a brand Ive been dying to try! I’m a lip balm addict. Wish I could have attended! I saw hundreds of photos online through social media and it looked like an such a great event – from the fashion show, the beautiful locale, and of course the a-mazing brands and products! I went to the very first ANFGB event two years in NYC and boy, has it grown! It’s so exciting that green beauty has expanded so much in a such a little time! The brands I’m most excited about trying from this year’s event would be Vintner’s Daughter, Mahola Skin, MUN Beauty, and Axiology Beauty. All of them sound wonderful and winning this swag bag would definitely put a smile on my face for days Thank you for this cool opportunity! I am excited about True Nature Botanicals and josh Rosebrook. I am definitely most excited about Laurel Whole Plant Organics. Her entire line seems absolutely magical. I’m most excited about Gressa and One Love Organics and Cocovit and… All of the brands are so great! I’m new to so many of these brands, so I would be excited to try anything! Thanks! I’m excited to try HANA Organic Skincare, specifically the Gentle Cleanser. Also, Captain Blackenship Mermaid Hair Oil and Sea Salt Hair Spray. Meow meow tweet looks really interesting! It’s really hard to choose one green beauty brand, or even a few. Is it okay to say I’m excited to see all of them? I live in the PNW and couldn’t make it ANFGB, but I love that I’m still able to see a list of brands through the site, social media, integrity bitanicals, etc. I’ve been vegan for over a decade, but somehow never put as much thought into what I put ON my body as I do with what I put IN my body. So, It’s embarassing to say, but my green beauty transition started at the beginning of this year. I’m really grateful to know that I can refer to the list of brands on the ANFGB site or here on IB to find safe, reliable, quality products to replace all of the “dirty” ones. I rid myself of all of the harmful products I once loved and the process is slow to replace them due to not knowing what is there or my wallet. So truthfully, I’m excited about every brand and every part of ANFGB. Thanks for this opportunity! I was unaware such a thing even existed as a recent transplant to the U.S. I will need to find out when its counterpart is occurring in my area! Well there are loads of Green Beauty brands I’m already obsessed with (I sleep wearing Hurraw Moon Balm and slater my face with Odacite and Aurelia) but ones I am looking to try are this Vinter’s Daughter. I’ve heard so many good things about it and really need more beauty/makeup products like I need a hole in the head but I just cannot stop the merry addiction! Always new products to try and get excited over!! The Active Botanical Serum leaves little to the imagination. Anything it didn’t include just doesn’t belong! My wife is obsessed with Josh Rosebrook products. At first I was worried about this “man” my wife is always talking about. I’m sure she would love this sample bag. There are so many brands that I know and love like La Bella Figura there this time! But two new to me ones that I’m dying to check out are Vingter’s Daughter and Bottega Organica! Wow, I’m excited to try ALL these exceptional green beauty brands!! Vnitner’s Daugher Face Oil, Josh Rosebrook, Treat, La Bella Figura, Laurel, May Lindsrom….! So much awesomeness!! Thank you for amazing giveaways! Aloha!!! What an amazing giveaway – I wish I had been able to attend this year! There are so many brands I’m excited to try, top on the list are: Vintner’s Daughter, True Nature Botanicals and LURK! Thanks for this fantastic giveaway! Impressed with all the brands but have always want to try something from May Lindstrom! I’ve enjoyed learning about green beauty and reading your blog. I’m excited about several brands this year, but mostly Osmia Organics. I’m dying to try their night body oil. I’m also excited about Bottega Organic, Province Apothecary, and Au Naturale. I have never heard of A Night For Green Beauty before reading your blog post. My son lives in Chicago and I would have made a trip to visit him just to attend this event had I known about it. The Vintner’s Daughter product looks amazing. Thank you for the opportunity to win this generous gift bag of goodies. I already love w3ll people, Laurel skincare and meow meow tweet. I’ve been dying to try the lurk perfumes!! The Laurel line has been a lifesaver. My skin is no longer red and inflamed and it feels amazing. With these amazing products, I get excited about putting my makeup on and taking it off. They have brought new life into my skin! I would have absolutely loved to go to this event and if I have been there I would have been so excited to check out ALL the incredible brand but May Lindstrom and Josh Rosebrook would have been my first stop because I have wanted to try their products for so long! Thank you for the lovely giveaway! True Nature Botanicals. The best. I hope we get a night for green beauty down South! One Love Organics has been on my radar for many years! I would love to try the Vintner’s Daughter product. There are so many great lines out there now. I would love to try them all. W3LL People and One Love! I only just heard of your products and have yet to try anything (but am so excited to). Thanks for this amazing giveaway! I am very intrigued about The Oil To End All Oils! !